What’s a 5 Letter Dirty Word at Walmart? Union! 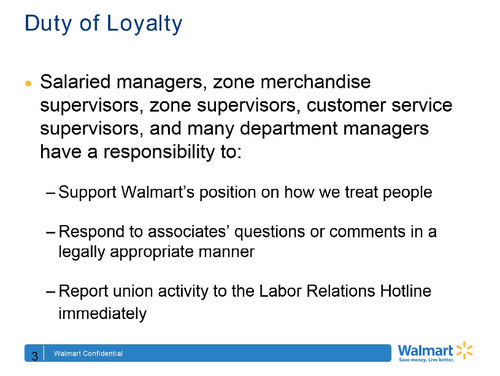 The Kool-Aid (on sale in aisle 5 by the way) infused talk-track that managers are to use when dealing with a rogue employee is listed below. 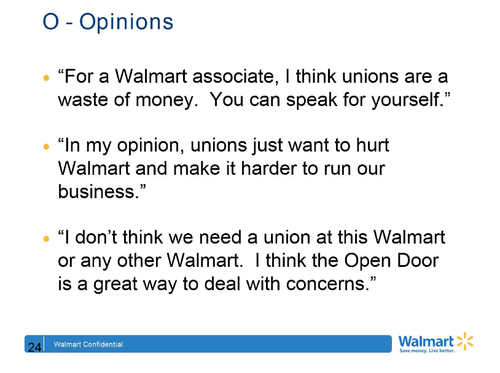 This crafty script surely will lure, hypnotize and simultaneously shame the union lover into the recognizing that their disloyalty to Walmart is comparable to adultery. Again, only after they’ve used the emergency red phone on the wall to call and report the sinner to the Labor Relation Hotline. Save Money. Live Better. Do as you’re told.